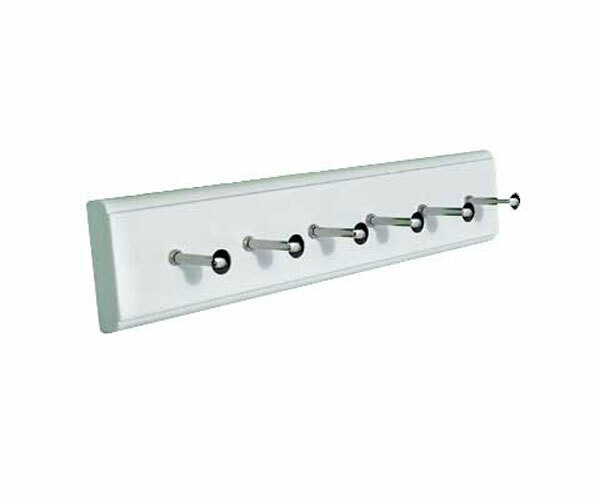 Keep your ties organized with Euro Design Center tie racks on slide. 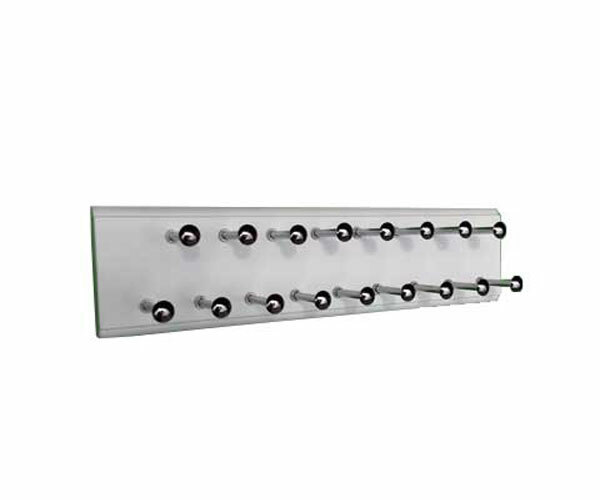 Keep your ties organized with Euro Design Center tie racks. 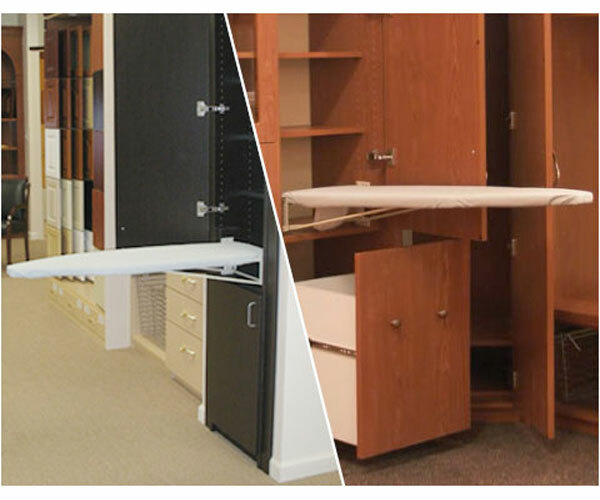 Ask our designers about Closet Belt racks. 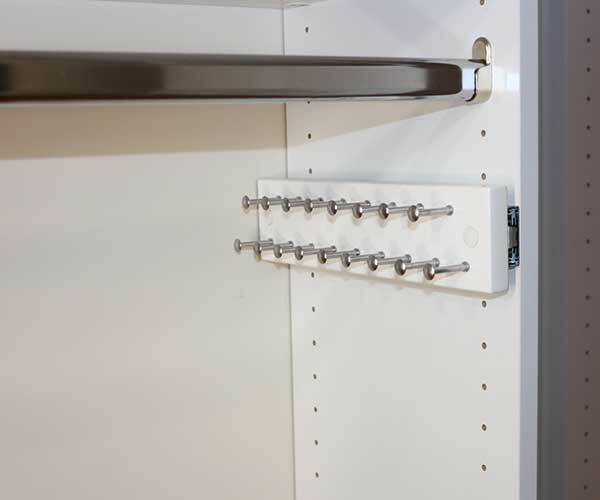 We offer two options: (a) Belt Rack, which goes on dry wall with our belt support for strength, and (b) Belt on Slide which is installed on the closet side panel. Organizing Closet with accessories is practical. 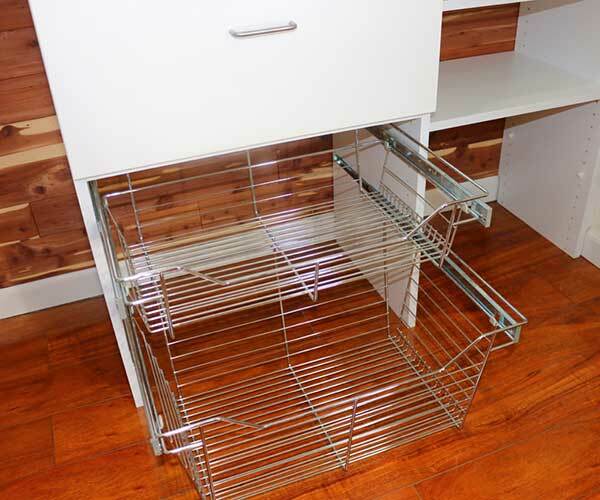 Baskets and ironing boards make organizing closet easy. Tie racks and belt racks also help in organizing closet. Even a small walk in closet can be utilized with these accessories. Double Jewelry Insert for your walk-in Closet or Wardrobe. 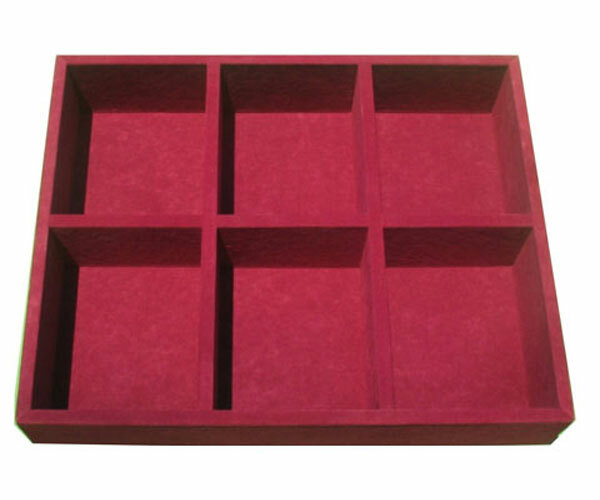 Our double jewelry inserts come in two colors: maroon and green. 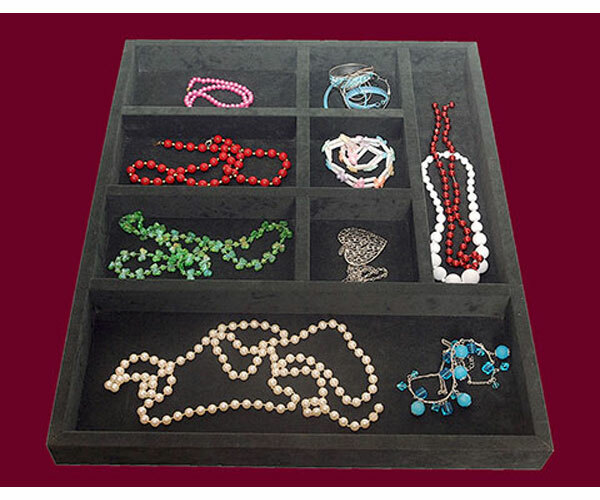 Keep your Jewelry organized with either a single or double jewelry insert. 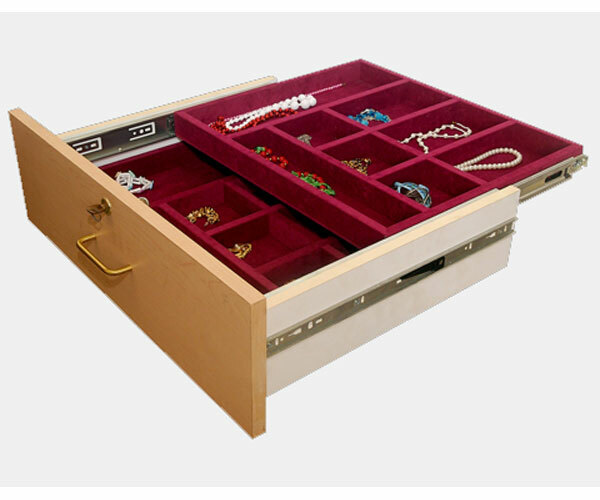 The drawer height and your needs decide what type of a jewelry insert is right for you. Usually mirror doors and jewelry inserts go hand in hand. 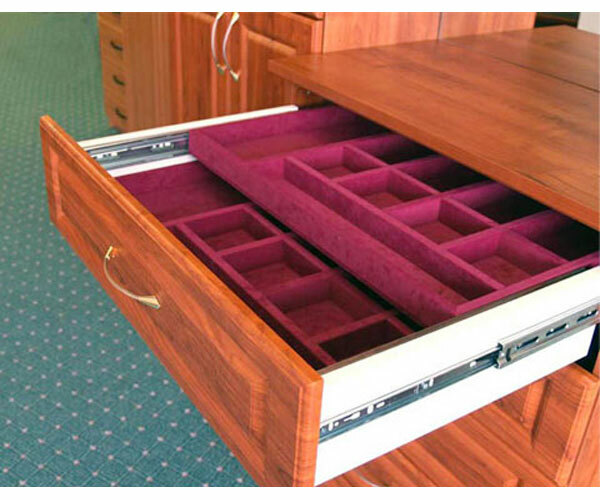 When you equip your wardrobe either with a single or double jewelry insert, it is always a good idea to get mirror doors. 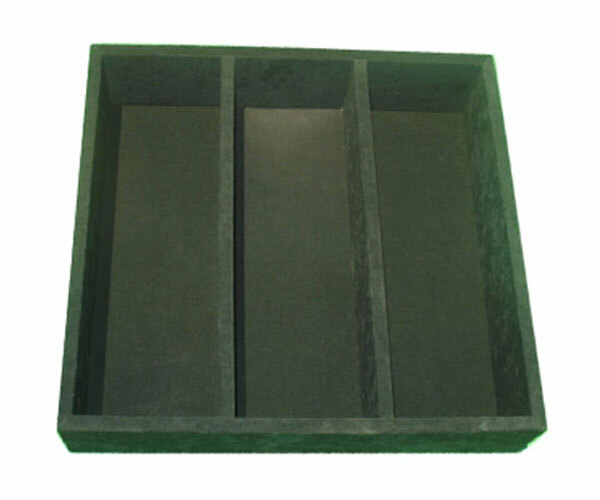 We use our 30+ years of experience in bringing you a product that you will find extremely useful in day today life. Lingerie Insert for your walk in Closet or Wardrobe. 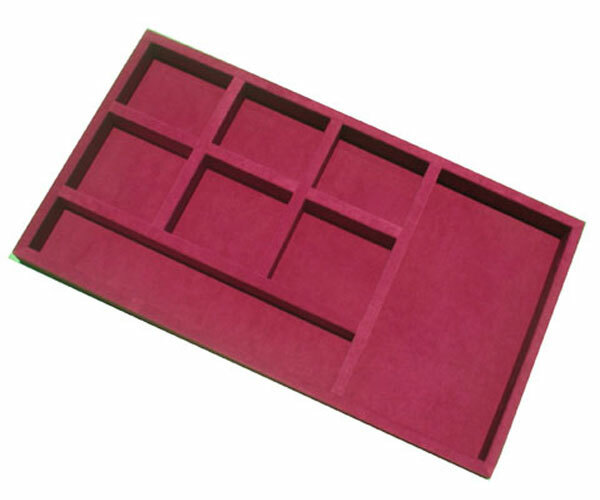 Ask our experienced designers about accessories. 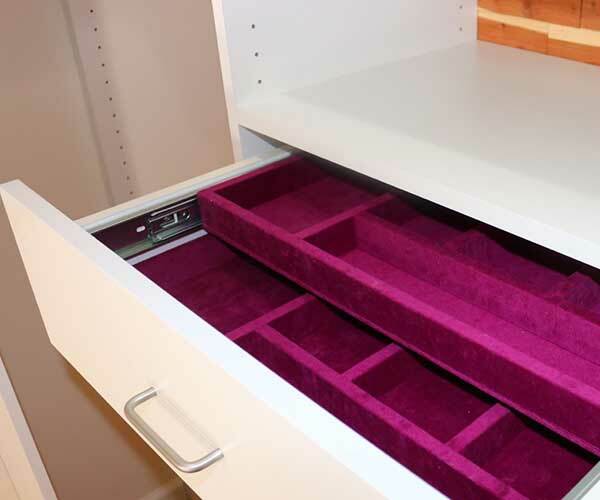 Lingerie Inserts, Belt and Tie Racks, and Valet are a few of the accessories that will make a big difference in bringing you a complete closet or wardrobe system. 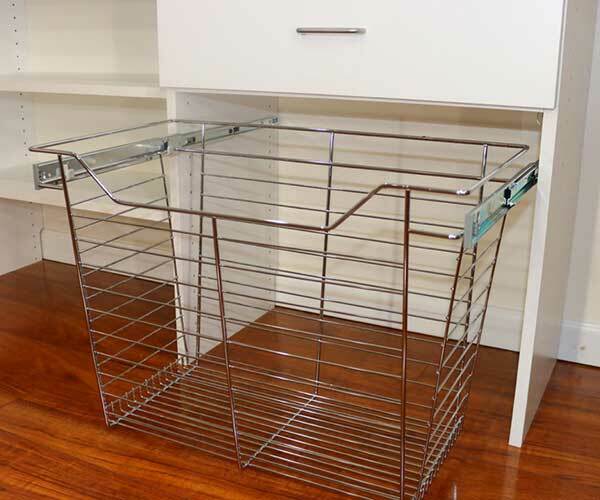 Removable laundry baskets for laundry and other needs.